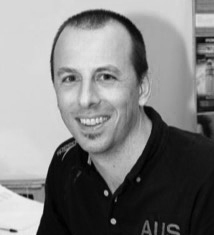 Paul Penna is a recognised Sport Psychologist, having worked with many of Australia’s top sports people and teams. Paul is the Sport Psychologist for the Australia Swim Team. He worked on the 2008 Beijing Olympic Team, the 2006 Melbourne Commonwealth Games Team, as well as the 2004, 2005 and 2007 World Swimming Championship Teams. Paul was the Senior Sport Psychologist at the New South Wales Institute of Sport (NSWIS) during 2006-07. He commenced working at the Institute in 2001 and was principally focused on assisting athletes and programs perform on the highest level possible, whether that was at State, National, Commonwealth Games, World Championships or Olympics and Paralympics. Paul is a fully Registered Psychologist with specialise tertiary training in Sport Psychology and over 15 years of experience competing, coaching and working within many different levels of sport.